Why are you reading this? Expect some funny stories about me? Private stuff I wouldn't tell my best friends but post on my "homepage"? How I became an AOL customer and how happy I am with it? What? So, what's all this about? Well, you can look at no photo of me and you can not read private stories about me. But at least, if you're interested, you can read something about some of the larger computer-related projects I've done so far. 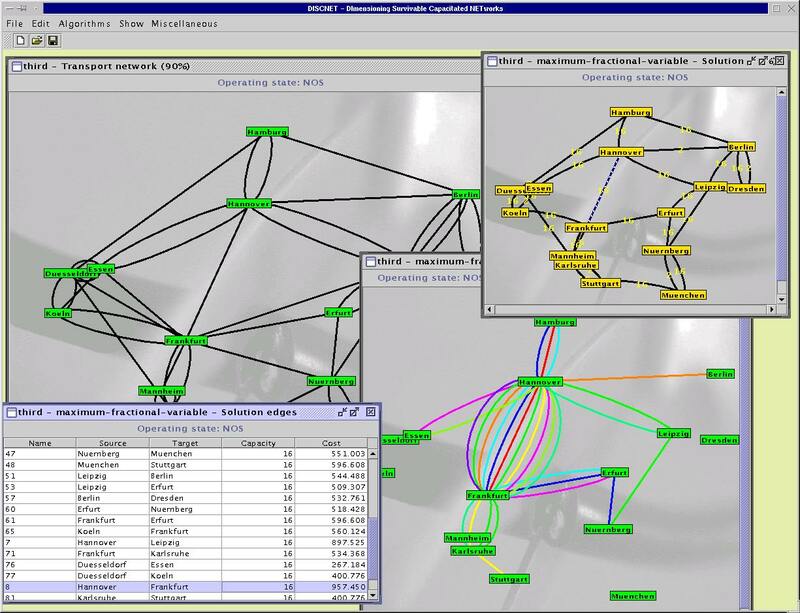 Shawn is an open source simulator for sensor networks which I (co-) develop. DISCNET is a commercial application used to generate "good" resp. 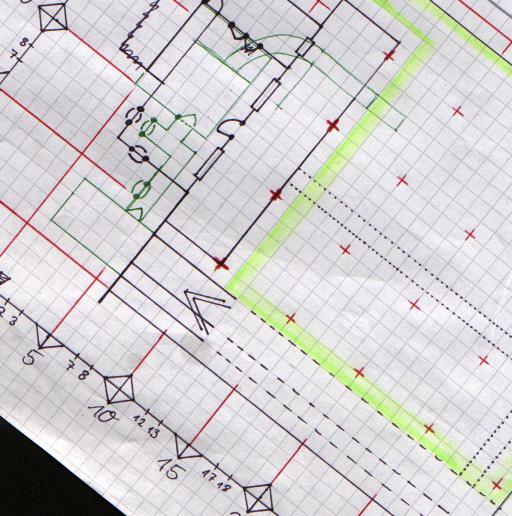 mathematically optimized solutions for telecommunication network planning problems. Basically, it works like this: You stuff your company's abilities, cost calculation model, set of obtainable capacities and links, and estimated traffic requirements into it, then it gives you a possible survivable mobile-phone backbone network configuration thats costs significally less than what you expected, and then you build something entirely different. Cool, huh? I've been employed until 2003 by Atesio GmbH to work on it. Participated as student programmer in a project writing a GUI for DISCNET at the Konrad-Zuse-Zentrum für Informationstechnik Berlin. Somehow I must've managed to look like someone who know's what he's talking about, as this project was the reason for my current employment at Atesio GmbH. Re-Volt is a commercial racing car game I like very much. I wanted to extend the possibilites to create custom race tracks for this, so I first decoded the game's data files (which was quite interesting - I was surprised that I managed to understand those binary files), and then wrote a handful of applications for it. All of it was released under the GNU GPL, look at it on my download page. This is a tool I wrote for the universitary network where I worked as sysadmin. It's purpose is to distribute incoming telnet (resp. ssh) sessions to "free" hosts, i.e. hosts on which currently only a few users are working. Since it is accessible from the outside, I had to spent a good amount of work to make it secure. So it is a real low-level program that watches every single system call it does for errors, and does no operations on string buffers without keeping an eye on buffer overruns. 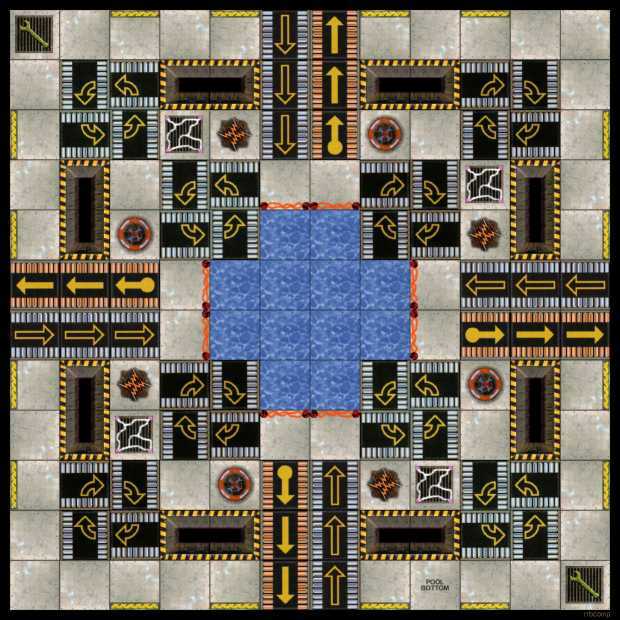 This one is a tool one could use to create additional boards for the board game "RoboRally". It is a command line tool (tested under Windows, Linux and AIX) that reads a textual description of a board and creates an image (1240x1240 pixels, 24 bit colors) that can be printed out. Unfortunately Wizards Of The Coast insisted on their copyright, and I am not permitted to distribute this program. This was my very first application written in C/C++. 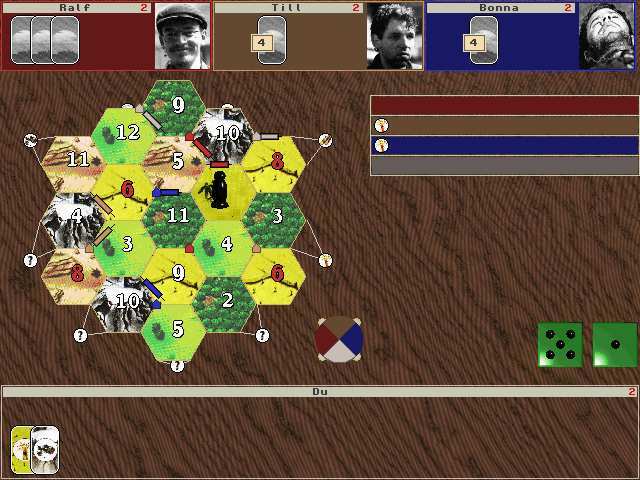 It was an attempt to write a computer port of the board game "Die Siedler von Catan". It was running under Linux, using SVGAlib for the graphics. It progressed to a fairly playable stage (including computer opponents that were able to win the game...). It was abandoned when I learned enough C++ to see that the whole code design was waste, and I would have to rewrite it from scratch. This was a program I wrote for a company that delivered frozen food. It's purpose was to organize the driver's tours, print out bills and tour descriptions, and to manage the customer's data. A friend of mine developed a mailbox system for the C64, and I decided to write a game for it. It was a game where mailbox users controlled armies and could fight against other players, as well as explore the world and find ancient artefacts which gave special abilities. My very first contact with computers happened at age 9, when my father decided that the son should know something about programming. We wrote a program in Fortran that printed out calendar sheets with birthday remarks. That had two huge benefits: For quite some time I never had to think about birthday presents - everyone got a 10-year wall calendar from me, and I learned the first few things about computers.